When you are buried in debt you can’t pay, a Tulsa bankruptcy attorney can help get you on the road to financial recovery. 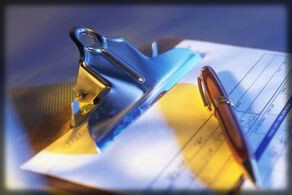 Concerns about collection calls, threats of lawsuits and bad credit ratings can be overwhelming. Bankruptcy filings are a way to clean the slate and get a fresh start. Thousands of Oklahomans file bankruptcy each year. Their reasons include mountains of medical expenses, loss of employment, insurmountable business debts, overdue student loans, looming foreclosures, defaulted consumer loans and even because they’ve been the victim of someone else’s fraud. Especially after the recent economic downturn, bankruptcy may provide a way to save the things most essential to you. The problems that debt causes can reach far beyond your checkbook. The most obvious result is increased stress. Lost sleep, irritability toward those around you, avoiding social activities, drug or alcohol problems and more can result when you don’t address the causes of stress. Medical problems and depression can be symptoms of chronic stress. Left unresolved, stress can disrupt relationships. It’s widely known that money problems are among the leading causes of divorce. The triggers that spark stress-related problems can follow a worried debtor like a shadow. There can be the fear of parking your car not knowing if you’ll return to find it being hauled away by a repossession agent. That can make you reluctant even to take your family or friends to the store, not knowing if you can provide a ride back. You might fear picking up the phone, least it’s another call from a collection agency where agents are trained to make you feel as if you must pay them before all others. An overdue mortgage or the inability to pay back rent brings the specter of being kicked out of your home. Fear of eviction can turn a warm family home into a haunted house. Credit ratings can plummet when debt soars, leaving debtors at the mercy of high-cost lending services. Wage garnishment can evaporate the simple reward of payday after a hard week at work. Not only are you left without money for recreational activities, the devastating effects of stress can leave you moribund, not wanting to leave your house or mingle with friends. You don’t have to go it alone. You didn’t get into debt alone — you borrowed money from someone, usually a stranger. There’s no reason not to ask someone for advice when creditors come calling. Contact a Tulsa bankruptcy lawyer at the Wirth Law Office at (918) 879-1681 for a free consultation. Look around you. You’re likely to see someone who has filed for bankruptcy but you’d never know it. In 2009, nearly 14,000 Oklahoma residents filed for bankruptcy. According to Administrative Office of the U.S. Courts data, when the economy went into a tailspin between 2007 and 2010, the number of Oklahomans filing bankruptcy skyrocketed by an astonishing 64% in just three years. By far the most frequent form of bankruptcies were Chapter 7 and Chapter 13 filings. 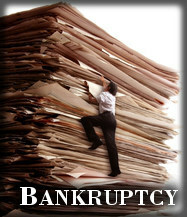 What’s more important — most people who are overwhelmed by debt qualify for Chapter 7 bankruptcy. And nearly all of the clients Wirth Law Office has represented in a chapter 7 bankruptcy have been able to discharge 100% of their medical debt, credit card debt, repossession deficiencies, and more. After just 3 to 4 months they were virtually debt free. The notion of debt forgiveness originated long before current bankruptcy laws were created. A minister can cite examples from the Old Testament. A historian can find examples in Roman and English law. Punitive approaches were common – debtors’ prisons punished and enslaved debtors. Modern jurisprudence is more compassionate, and recognizes the interconnected nature of our economy. Congress enacted early U.S. bankruptcy laws when upheavals and bad economic conditions caused rampant indebtedness. Today’s bankruptcy laws focus on reorganizing debts. Corporations now routinely use bankruptcy as an orderly way out when businesses fail, but individuals — including sole proprietors and those in business partnerships — also turn to bankruptcy for relief from overwhelming burdens of debt. Even those who don’t qualify for Chapter 7 relief usually qualify for Chapter 13 bankruptcy. A Chapter 13 filing can be a financial life preserver even for those behind on mortgage payments or vehicle payments During 3 to 5 years of court supervised Chapter 13 proceedings, a trustee distributes your payments to creditors. A Chapter 13 plan can allow you to get caught up on your mortgage and, after completion, discharge remaining unsecured debt. When you complete a chapter 13 filing, you can be free of your credit card debt, medical bills and more, yet keep your home and car. These days, you don’t have to be a slave to debt. Contact a Tulsa bankruptcy attorney at the Wirth Law Office at (918) 879-1681 for a free consultation. The Tulsa bankruptcy lawyers at the Wirth Law Office know that bankruptcy is only one of many options to help you get out from under a load of debt. Bankruptcy isn’t the right alternative for every circumstance. Credit counseling, negotiating with creditors, standing up to illegal debt collection practices, restructuring your budget and seeking forbearance from certain creditors are among several options that can sometimes let you avoid bankruptcy. Our Tulsa bankruptcy lawyers provide free consultations. We explain options and likely outcomes. Learn what to expect and find out what your creditors might try if you do nothing. We can help you size up the costs and benefits of bankruptcy as compared to credit counseling or debt settlement. 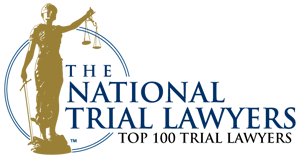 Wirth Law Office’s bankruptcy attorneys provide free consultations. Before you choose your course of action, talk to an experienced Tulsa bankruptcy attorney. 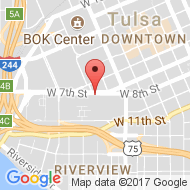 If you would like a free consultation with a Tulsa Oklahoma bankruptcy lawyer, call the Wirth Law Office at (918) 879-1681 (or toll free at (888) Wirth-Law) or submit the question form at the top right of this page.